BEIJING (Sputnik) - China won't promise to abstain from using force when countering foreign meddling and separatist movements in Taiwan, Chinese President Xi Jinping said on Wednesday. At a gathering commemorating the 40th anniversary of issuing the Message to Compatriots in Taiwan that marked a thaw in China-Taiwan relations, Xi said, emphasizing that "Chinese do not fight Chinese" that peaceful reunification served the interests of his compatriots. "We make no promise to renounce the use of force and reserve the option of taking all necessary means," Xi said, as quoted by the China Daily newspaper. The Chinese leader stressed that the use of force could target exclusively external interference and separatist groups operating in Taiwan. "We are willing to create broad space for peaceful reunification, but will leave no room for any form of separatist activities," Xi added. Xi pointed that since people living in mainland China and in Taiwan were "of the same family," the Taiwan issue concerned "domestic affairs" that should be addressed "through discussion and consultation". 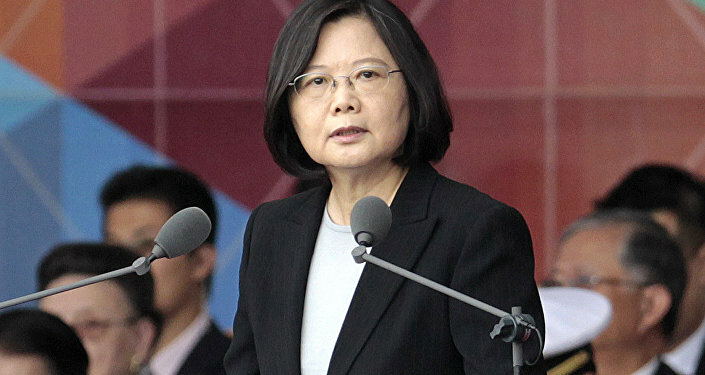 He also voiced commitment to enhancing China-Taiwan economic cooperation. "We should actively promote the institutionalization of economic cooperation across the Taiwan Strait, create a common market, boost development, make our cooperation more energetic, and strengthen the Chinese national economy," Xi said. Relations between mainland China and Taiwan have been tense since 1949, when Chinese Nationalist Party-led forces took over Taiwan following their defeat in the Chinese civil war, and established the Republic of China on the island. Beijing does not recognise Taiwan, claiming that the island is a part of China, and Taiwan does not recognise the Chinese state, claiming continuity with the pre-1949 government of Chiang Kai-shek. However, the Message to Compatriots, issued 40 years ago, declared an end to Beijing's artillery bombardment of Taiwan-controlled islands close to China, and since then, informal China-Taiwan contacts have resumed.